There are three languages that are used for communication within the ECOWAS bloc, that is English, French and Portuguese. For easy communication among members there is the the need for individuals in the region to be able to speak these languages but this is proving to difficult. This has necessitated the use of interpreters to make people understand each other at summit meetings. Many of the member states of ECOWAS are among the poorest of the poor nations in the world. Many of their citizens earn less that a dollar a day. This, in a certain sense is preventing real economic integration of the sub-region while many continue to live in squalor and deprivation. 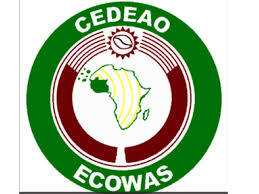 Another problem of the ECOWAS group is the penchant of the member states to abuse the human rights of their citizens. The human rights records of some member states is nothing to write home about. Champions of human rights abuse have cited member states on many occasions over their human rights abuse.Togo was ever cited, Nigeria under Sanni Abacha has ever been cited. This is a problem for ECOWAS. The aims and objectives of the ECOWAS can only be achieved when the finacial base of the community is solid. However, some member states are not able to honour their financial obligations to the community.This is one problem that has bedeviled the community over the years, especially when it comes to the running of the affairs of the community. Many of the member states of ECOWAS were former colonies of some formercolonial powers. Countries such as Britain, France and Portugal ever had a colony or two that now belong to the ECOWAS group. These member states are still controlled, to a certain extent, by their former colonial masters. The influence of these colonial masters, in some cases, are so strong that, they are able to determine the direction of their votes at summit meetings on issues that are not in the interest of the former masters. One of the aims of the community is to establish a monetary union for the entire region. This was aimed at culminating into a single currency for ECOWAS member states. However, the member states have not been able to meet the convergence criteria, all at the same time for the single currency be issued. This has made the attainment of that goal a mirage though efforts continue to be made towards its achievement. 1. Highlight six problems faced by the Economic Community of West African States. 2. a. List four organs of the Economic Community of West African States. b. Outline five obstacles that hinder the implantation of the aims and objectives of the ECOWAS. 4. a. Discuss three achievements of the Economic Community of West African States. b. What three problems does the ECOWAS face? A. promote economic development among member states. D. eradicate all forms of racism in West Africa. A. maintenance of peace in troubled spots of West Africa. B. installation of unpopular governments in West Africa. C. protection of oil pipe-lines along the coast of West Africa. D. promotion of military rule. A. prevent crimes in West Africa. B. promote the socio-economic development of member states. C. control pollution and environmental degradation. D. promote universal human rights. A. fuse into one political entity. B. establish a common customs tariff. C. have joint development of transport and communication. D. abolish obstacles to free movement of citizens. A. member states do not attend meetings regularly. B. member states do not have a common currency. C. some member states want to contribute large amounts to the community. D. it is a rival to the Organization of African Unity. A. maintain closer relations with member states. B. encourage customs union and common market. C. raise the political consciousness of the people. D. raise the people’s standard of living. A. the economies of member states are not contemporary. B. member states are primary producers. C. member states have dependent economies. D. member states speak different languages. 4. Which of the following Heads of State initiated the formation of the Economic Community of West African States (ECOWAS)? 7. Which of the following is a regional international organization? D. Economic Community of West African States. A. harmonization of resources of member states for economic development. C. unifying the various tariff systems in West Africa. D. ensuring free movement of persons and services among member states. 10. Which of the following countries is not a member of the Economic Community of West African States (ECOWAS)?